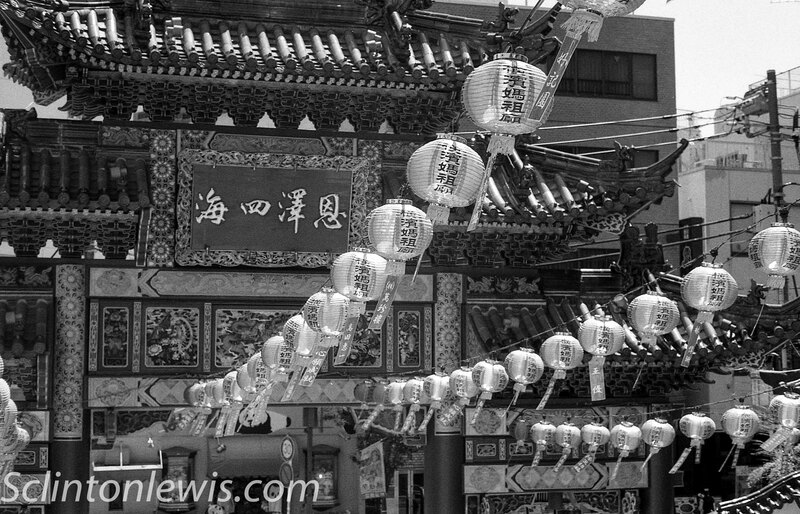 Chinatown in Yokohama in Japan is the largest China town in the country. The largest Chinatown I was in before that was in Philadelphia. Lots of great Chinese food restaurants in Chinatown there. It was all delicious. There is a bright and colorful temple there that you can visit which is pictured here. Named Kanteibyo I decided to take this picture with Ilford FP5 and got a lot of detail out of it, but no color. This entry was posted in bessa r4m, film, ilford, japan, monochrome, street photography and tagged bessa r4m, film, ilford, japan, monochrome, street. Bookmark the permalink.